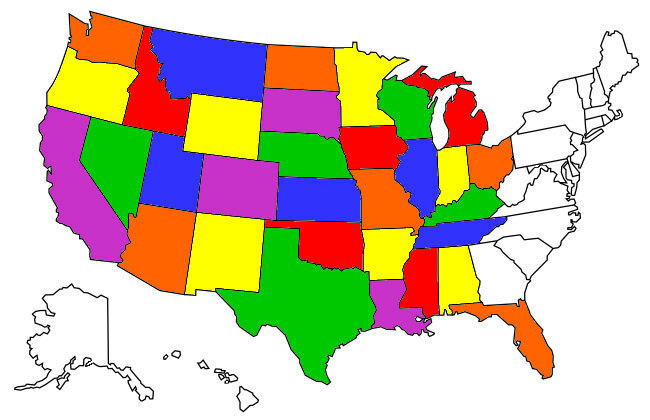 After spending two nights at the semi-pricey Gulf State Park I crossed into Florida looking for one of the free campsites this website Freecampsites.net can help locate in any state. 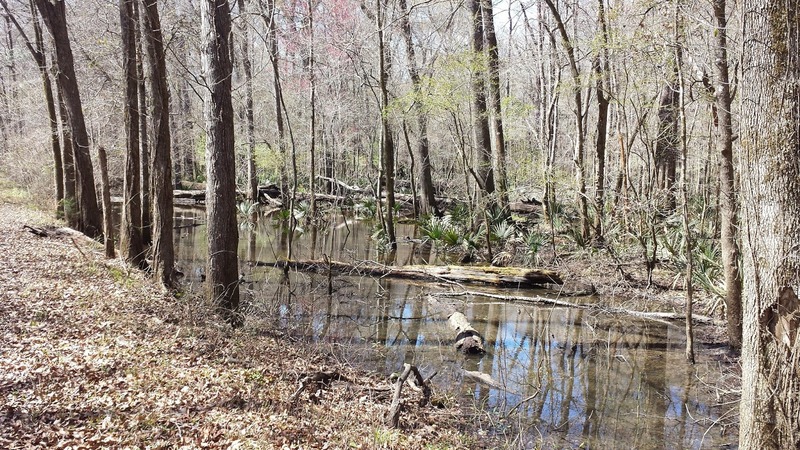 I selected Blackwater State Forrest and stayed one night before pressing further east. The free area was just a parking area so I didn't bother to review it. From there I drove to Florida Caverns State Park just north of Marianna, FL. 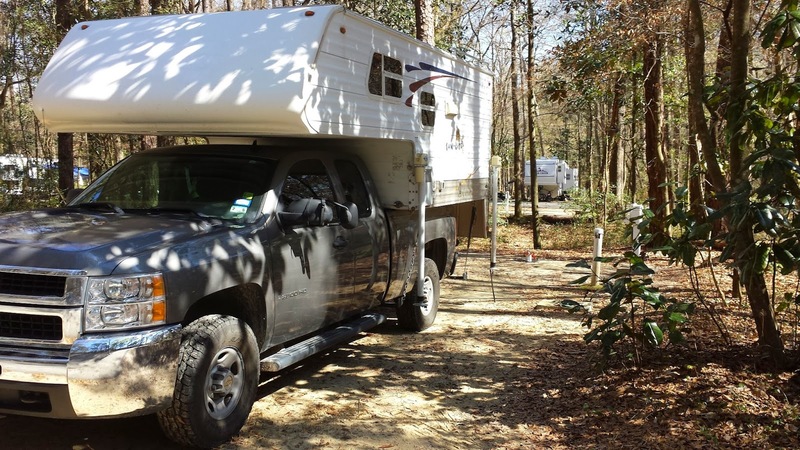 Florida Caverns is a 1300 acre park which surprisingly has only 32 RV campsites and borders the spring-fed Chipola River. The park's primary attraction is limestone caves pictures of which can be viewed here: Florida Caverns Caves (after caving in New Mexico I skipped this tour). The guided cave tour costs $8 per person. 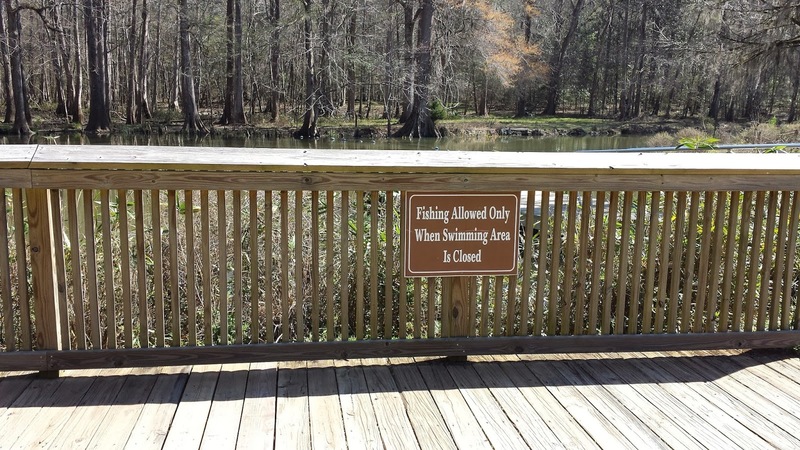 There is also the Blue Hole Spring where both swimming and fishing is allowed. The Blue Hole Spring fishing dock. 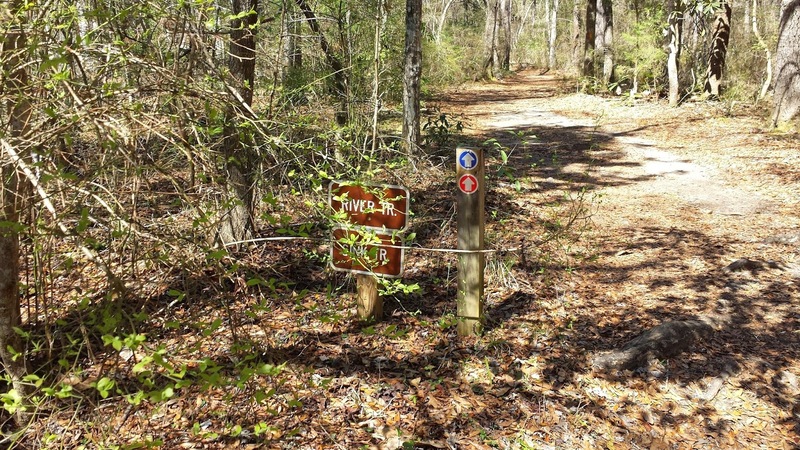 The park's Upper Chipola trails offer 6 miles of biking, hiking or horseback exploration. The trails are fairly wide and bikeable. 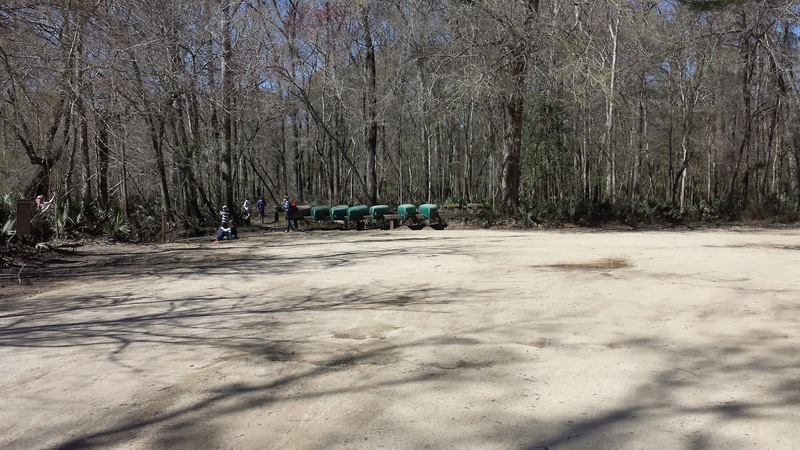 The Chipola River is canoe-able and there is a canoe rental concession along it. I'm sure there's no gators in there! For so much space the campsites were curiously close to one another. 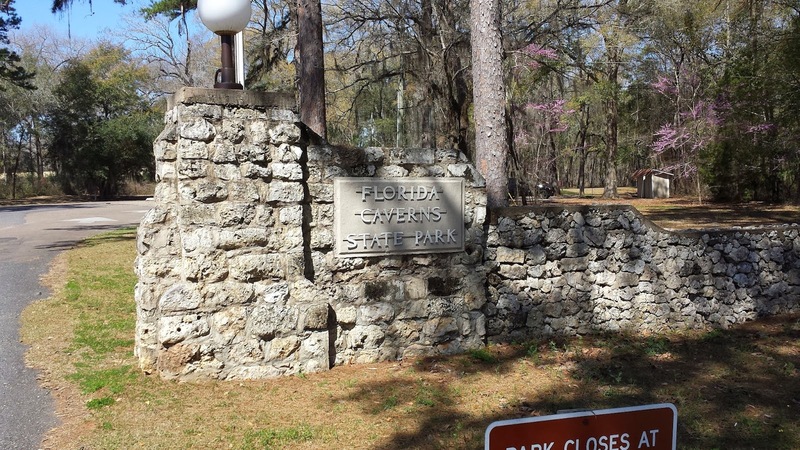 Along with the adjacent Florida Caverns 18 hole golf course there's a lot to do at Florida Caverns State Park. The weather was perfect during my stay -- sunny, high 70's and low humidity. It's a great stop for cave lovers and I'd recommend it.